In interpreting, directionality means whether the translation is done from a first language to a second language (from an A language to a B language, in interpreters’ jargon) or vice versa. I have just received a lengthy, well-designed survey questionnaire addressed to Professional Expert Conference Interpreters and seeking their views and feelings about directionality. There are English, French, German and Spanish versions. It comes from Jan-Hendrik Opdenhoff of the GRETI research group at the University of Granada, Spain. If you would like to participate, contact Jan-Hendrik at jan@ugr.es. The survey in itself doesn’t concern us here, but it reminded me that there is directionality in Natural Translation. When I declared, following Ludskanov, that all bilinguals can translate, I didn’t think to add “in both directions”, but I could have. However, it doesn’t necessarily mean that natural translators translate with the same results, or even in the same manner, in both directions. Research needed, but most likely their target language production will be affected by whether they are completely ‘balanced’ bilinguals, that is to say with equal proficiency in both their languages. Their understanding of the source discourse may likewise be affected. Yet I believe it must be quite exceptional to find someone who can translate in one direction and not at all in the other direction. Nevertheless, I heard such an exception described in the early 1990s by Michel Paradis, an expert on bilingual aphasia and more recently author of the book A Neurolinguistic Theory of Bilingualism. The aphasic patient in the case study was a nursing nun treated in Paris but born and living in Morocco. She spoke French at home and with colleagues but had learnt Arabic at work and with patients. (Morocco is a thoroughly bilingual country.) She was suffering from antagonistic bilingual aphasia. That is to say, on one day she could speak French but could not find the simplest words of Arabic to express herself although she could understand it; and yet on the following day she would be able to speak Arabic without much difficulty but could no longer speak French. In addition, she exhibited paradoxical translation behaviour (Paradis’ term for it), which took the form that on days she could speak French but could not spontaneously speak Arabic she could nonetheless translate from French to Arabic, even utterances involving complex structural differences between the two languages. And to make the phenomenon even more complex and surprising, she could not translate the other way from Arabic to French. On days she could not speak French, the paradoxical translation phenomenon would be reversed – in other words, she could only translate into her deficient language! Paradis also described similar cases involving other language pairs (French and English, Farsi and German) and in other countries (Canada, etc. ), so the phenomenon may be rare but it's widespread. How is it possible to have these different patterns? They raise questions about the mechanisms for translation in the brain, over and above the preliminary question of whether representation, processing and storage of language differ in bilinguals from in unilinguals. About these things we still know tantalisingly little – or rather, in the case of translation, virtually nothing. The paradoxical translation described by Paradis was pathological; but then natural translation, like all things natural, is foredoomed to have pathologies. There have been interpreters in temples and churches since antiquity. The etymology of the synonym dragoman, like that of its cognates in several other languages (French truchement, etc.) goes back to the Hebrew targum and the third century BCE, and even beyond. The Targums were interpretations or sight translations of the scriptures from Biblical Hebrew into vernacular Aramaic, and they were spoken during worship. “The translations may have developed first as an effort to explain specific difficult words – a process that would naturally lead to a full translation... The Targums were designed to communicate the message of the text to the people, and the meturgeman sometimes injected stories, Jewish Haggadic teachings, or Halakic stipulations into his interpretation of the Jewish text." (Brad H. Young, ‘Targum’, International Standard Bible Encyclopedia, 4:728). How did the meturgeman translate? So we know certain things about his way of interpreting. The mode was short consecutive, indeed very short in the case of the Pentateuch so as to ensure accuracy. There were norms. His translation had not to be too literal, presumably so that it would be understandable to listeners. Additions to the source text were strictly forbidden, although he might embroider considerably outside it. What, if anything, is innate about translating? An early paper about Natural Translation bore the title ‘Translation as an Innate Skill’ (Harris and Sherwood, 1978). Its authors were rash to use the term ‘innate’, but that was in the days when Chomsky’s nativism was fashionable among linguists. The great Language Instinct Debate was yet to come. Today, after Pinker (The Language Instinct, 1994) for nativism and Sampson (Educating Eve, 1997) for its denial, we can only admit that neither side has overwhelming proof. Personally, I opt for the middle view: that language acquisition involves culturally determined language skills, apprehended by a biologically determined faculty that responds to them. But let us, for the sake of argument, assume that something is inherited that enables even young children to begin translating spontaneously if they are being brought up in a bilingual environment to which they respond. My question is this. Might that something be specifically dedicated to translating? Or is it something more general and translation is only a specialised application of it? Translation is conversion. We are aware of it as conversion of thoughts or meanings from one language to a different language. But as the semiotician Alexander Ludskanov pointed out long ago, the languages, the meanings and the thoughts are all represented symbolically in our brains, and what is converted there is symbols from one sign system to another. Now let’s consider something else that we convert in our minds. I have to cope every day with several currencies: euros, Canadian dollars, American dollars, pounds sterling, etc. When I see something priced in euros, my mind spontaneously converts the amount to the currency that is most useful to me for purposes of comparison, which is Canadian dollars. It doesn’t matter whether the amounts are perceived in words or in numerals, written or spoken. It is the mental image of the amount or size that I convert, along with judgements and emotions about it like ‘expensive’; not the words for it, which are of no importance. However, it might be said that currency systems are still languages, albeit formal ones. So let’s consider an example that is further away. I sometimes drive a large car in Canada with an automatic transmission. Canadians drive on the right, and their car controls are placed accordingly. And sometimes I drive a smaller car in England with a manual gearshift and built for driving on the left. I also have to conform to different traffic rules in the two countries, but we’ll leave that out of it. I could say that I’m a bifunctional or biprocedural driver, and – having lived half my life in each country – I would not be able to tell you which way is dominant in me. Now I take along with me to England a Canadian friend who has never driven anything but an automatic and on the right, and we are going to use a manual shift car. I have to instruct him. It would be totally inadequate for me to explain the differences to him and tell him what he has to do. I have to show him, by gesture and example, and guide him while he learns. The kind of memory I need to draw on is mostly motor and visual, for I have rarely seen the actions described in words. I can convert for him, and after a short while he can convert for himself. And so it is with many other things, although some take longer to learn. Changing from playing the piano to playing the same music on a violin, for instance. 1) The human mind is capable of doing everything in more ways than one, and using several languages is just an example of this versatility. 2) The mind can switch at will from one way to another, with minimal inconvenience or interference once we know both ways even a little. 3) The mind can convert or, in an extended sense, translate an action from one way of doing it to another way. In the examples above, since there are no cars or violins in our brains, it must be a conversion between the symbolic representations of them. So are natural translators born with a ‘translation capability’, or is it rather a general ‘conversion capability’ that is applied to languages? 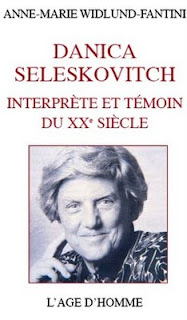 Danica Seleskovitch (1921-2001) was a famous teacher of expert conference interpreting. She was also famous as a researcher and theorist. She founded the interpretation wing of the École Supérieure d’Interprètes et de Traducteurs (ESIT) at the University of Paris III and reigned over it for some 20 years. 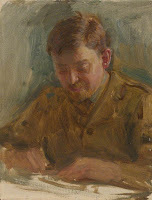 As a theorist, she never tired of preaching the distinction between mechanically translating the linguistic expression from one language to another (which she called transcoding) and transposing the intended content of what was said, the deverbalised ‘message’ (which she called interpretation). Though in reality there is no sharp separation between the two and most translation is a hybrid of them, her dichotomy is a very useful construct for translation theory and teaching, and we used it in Harris & Sherwood 1978. Though it was not new – I was taught at school to “translate the ideas, not the words” – she added a suggestive twist to it: namely that the deverbalised message is represented in the interpreter’s mind in the same form as it is stored in medium or long-term memory. Hence the title of her magnum opus as a researcher, Langage, Langues et Mémoire (Paris, Minard, 1975). There is a book-length biography of Danica, with a very good portrait photo of her on the cover, in Danica Seleskovitch: Interprète et témoin du XXe siècle by one of her numerous interpreter disciples, Anne-Marie Widlund-Fantini (Paris, L’Âge d’Homme, 2007). What follows is an anecdote about her. In January 1980, I visited ESIT and was invited to give a talk to a small group of her graduate students. The topic I chose with missionary zeal was, naturally, Natural Translation. I was listened to politely, but I realized that NT was the antithesis of interpreting as she and her school understood it. They were only interested in the expert, professional kind. On the few occasions I bumped into her later, she didn’t mention my visit. I worked as a conference interpreter myself in Canada until 1989, when I had to drop it due to illness. However, I made one comeback. That was in 1994. What revived me momentarily was a call to interpret at a conference at Winnipeg, the capital of the province of Manitoba in the centre of central Canada. Why Winnipeg? Well, most people think that French Canada is all in Eastern Canada, with its stronghold in Quebec. However, since the time of the French explorers, traders and missionaries in the 18th century, there have been outposts of French Canadians further west, and one of them is still the Winnipeg suburb of Saint Boniface, more than 2,000 kilometres from Quebec. It has a Catholic cathedral and an archbishop and – to cut a long story short –a university school of French/English translators. In 1994, the translation school at the Collège St Boniface organized a conference on Perspectives d’avenir en traduction (Future Prospects in Translation) and I was asked to interpret. Two things tempted me into accepting. First, the organiser of the interpretation at the conference was Denise Laporte Dawes, an old friend and a pioneer interpreter in Winnipeg. The other attraction was that the keynote speaker was to be none other than – Danica Seleskovitch. By then Danica had retired too, but she was still in demand around the world for her incisive lectures. Though she was very fluent in English, she was at her best as a speaker in French, in fact a great pleasure to listen to. I was rusty and I don’t feel I rose to the occasion. Nevertheless, I had one moment of surprise satisfaction. Danica was telling how she had been on a trip to Africa, and how impressed she had been by the ability of some young boys who interpreted for her in a market. In other words, language brokering. I could not say she had seen the light, but I thought to myself that she had at least glimpsed it. Por otra parte, pude notar que la mediación entre hijos y padres se da exclusivamente cuando se trata de un tipo de lectoescritura en ingles,… porque después de tres años de vivir en Canadá los hijos tienen, an algunos de los casos, un mejor nivel de competencia lingüística que los padres. Actualmente los padres les piden ayuda a los hijos para encontrar el significado o pronunciación de una palabra, como sucede en las cuatro familias; para entender algún mensaje telefónico, como sucede en la Familia Rodríguez; para entender algún programa de televisión, como sucede en la Familia Cortés; para saber como escribir algún nombre en específico, como sucede en la Familia López y para saber como pronunciar una palabra en francés, como sucede en la Familia Alarcón. Este tipo de mediación es llevado a cabo de una manera muy acertada por los hijos de las familias participantes porque involucran en su traducción elementos culturalmente adecuados (Harris & Sherwood, 1978, citado en Tse 1996). Furthermore, I was able to observe that the brokering between the children and their parents only occurred when there was a certain type of reading and writing in English. This was because after three years living in Canada the children in some instances were more advanced linguistically than the parents. At present the parents in all four families seek their children’s help for finding the meaning or pronunciation of words; for understanding telephone messages, in the Rodríguez family; for understanding television programs, in the Cortés family; for learning how to write a particular name, in the López family; and for learning how to pronounce a word in French, in the Alarcón family. The children in the four families perform this kind of brokering very successfully because they take account of suitable cultural elements in their translations (Tse 1996, citing Harris & Sherwood, 1978). A follow-on from my 7 July posting. Non-professional collective translation goes by several names. One is ‘community translation’. In China there’s a network called Yeeyan with 5,000 self-styled community translators that claims to have translated nearly 30,000 articles from Western publications like Time, The Economist and The Guardian. And there are others in China. Given the nature of the texts, Yeeyan’s translators have to be fairly advanced native translators. Another kind of organisation sponsoring collective translation is LinkedIn, which is a business-oriented social networking website. It recently came into conflict with the president and membership of the American Translators’ Association (ATA), which is composed, of course, of professional translators. The president of ATA exclaimed, “It’s astonishing that [LinkedIn], whose very existence is predicated on fostering professionalism, would compromise its own professionalism by approaching its members, hat in hand, seeking donations for a for-profit entity." LinkedIn conducted its own survey of potential contributors. The survey included a multiple-choice question: "What type of incentive would you expect for translating LinkedIn’s site?" The choices ranged from "I would want to do this because it's fun" through "Highlight your … work [as] the #1 translator … in [language name]", to "Upgraded LinkedIn accounts." There was also a final option, "other", where the respondent could enter whatever they wanted (such as "money"). So it would seem that LinkedIn envisaged attracting both professional and non-professional translators. We don’t know the results. As was pointed out on the Global Watchtower blog: "Our research shows that the companies that engage in CT3 [community, crowdsourced and collaborative translation] do actually care about translators and view them as professionals … CT3 is usually reserved for the short phrases that are highly unique to a given community - and are usually an important part of its online flavor and culture." There are some terms in constant use in this blog which need definitions. These are people who do translation of a simple kind without having had any training in translation, either formal or informal. They have been observed among very young children, though natural translation (NT) is by no means limited to them. The very young onset age of NT strongly suggests an element of innate capability, though we do not know what form that might take – specifically linguistic or some more general power of conversion. Such translators may be stimulated by real communication needs, as in the case of the immigrant children, called language brokers, who translate for their families; or they may translate spontaneously or even just for fun. They perform in everyday circumstances in which they are not out of their depth in what is being said. They have some awareness of what is a ‘good’ or 'correct' translation, but it's unsophisticated. This are people who have had no formal training in translating but who have picked up its skills by observation and experience and acquired its socially accepted norms. The term was coined by Gideon Toury, who said that native translators learn to translate much as native speakers learn to speak their languages. Thanks to life in bilingual societies, translation exercises in language learning courses, reading translated literature, and so on, native translators can reach a standard equal to that of Trained Translators (see below). Indeed, despite the spread of higher education programmes in translation, the majority of Professional Translators (see below) are probably of this type. Expert translators are people who have had training for it. The training may be academic, typically a university degree programme, or in the form of mentoring under a more experienced translator such as a reviser in a translation bureau. It is usually accredited by a degree or diploma in translation or by admission to one of the associations of professional translators and interpreters. These are the people who do translating for a living. More and more employers are requiring that they be accredited Trained Translators, but still many of them are advanced Native Translators. Since they are paid to do their work, the texts they are given to translate, the speeches and dialogues they are called on to interpret, are the more difficult, complex ones requiring Expert Translation. Hope this is clear, and that the categories will be useful when considering the work of unprofessional translators. Translations done in collaboration between several translators have long been commonplace in expert translation. Every time a translation agency or provider splits a long text up between several translators, it engenders a sort of collaborative translation. Looking back in history, one need only think of the enormous collaborative effort that went into producing the King James translation of the Bible (Bois, 1969). Now, however, great new possibilities for CT have been opened up by software tools of the peer-to-peer or grid computing type that facilitate recording, modifying and managing the combined work of many translators with almost instantaneous communication between them. The translation industry is starting to take notice: Canada’s Language Industry Association recently held a study day on CT. There is no remuneration and there are no prizes, so the people who contribute are doing so because they like the source text and want to make it more widely known – or for the sheer pleasure and challenge of translating and of proving they can do it. Thus it implicitly recognises two principles of natural translation: (a) that all bilinguals can translate, but that (b) they can only translate to the extent that they know the two languages. Are the Traduwiki translators true natural translators, i.e. completely uneducated in how to translate; or native translators, i.e. without specific training in translation but educated in it to some extent by their milieu and experience; or even, perhaps, expert, trained translators who, despite the lack of remuneration, contribute pro bono or for the fun of it? Unfortunately for researchers, the translators remain anonymous and no questions are asked of them. So we can only draw conclusions from their output. Here is an example, chunked and with the translation in italics. Jeudi 21 avril. L’heure H avait été fixé à minuit. Les dernières instructions étaient entre les mains d’une dizaine d’officiers encore inconnus, généraux, colonels, membres de réseaux formés depuis près de vingt ans, au temps de la guerre civile. The latest orders were in the hands of a dozen unknown officers, generals, colonels, members of networks that existed for nearly 20 years, since the Civil War. Les chars sont à l’heure. Leur bruit, dans Athènes, annonce l’arrivée de la dictature. The tanks arrived on time. The din they made heralded the arrival of the dictatorship in Athens. Ils prennent position devant le Parlement. La junte vient de prendre possession du pouvoir et le fait savoir. They lined up before the parliament buildings. The junta had just seized power and were making it known. Dans la nuit, premières arrestations: des femmes et des hommes de gauche, des communistes,des syndicalistes … A l’aube , l’Hippodrome, au bord de la baie de Phalère, le stade de foot du Pirée, partout les plus grandes salles commencent à se remplir des premiers détenus. The arrests began at night: women and men of the Left, communists, trade-unionists ... By dawn, the Hippodrome, along the bay of Phaleron, the Piraeus football stadium, the largest public halls began to fill up with the first detainees. The French source text is from Grèce: le Coup des Colonels by Jacques Coutard, a professionally authored work and beyond the level of language proficiency to be expected of natural translators. The translation is IMHO acceptable for publication even if there are some small points that could be disputed, so it is the work either of an expert translator or of an advanced native translator. Kindertagesstättengesetzes nach billigem Ermessen i.S.d. § 315 BGB die Höhe des monatlich zu entrichtenden Entgeltes, das sich insbesondere zusammensetzt aus dem Elternbeitrag und der Verpflegungskostenpauschale. (3) Die Allgemeinen Regelungen zur Betreuung von Kindern in städtischen Kindertagesstätten bestimmen insbe sondere die Offnungszeiten und den allgemeinen Betriebsablauf der betreffenden Kindertagesstätte. Kindertagesstätte law reasonably iSd § 315 BGB, the amount of themonthly fee to be paid, in particular composed of the parentalcontribution and meal expenses. (3) The general regulations for thecare of children in urban nurseries determine and in particular itsopening hours and general operation of the nursery. The text is not of a type a natural translator would be likely to tackle, nor be able to render so much of. On the other hand, the non-translation (Kindertagesstätte) and other imperfections, even the typos, argue against this being the work of an expert translator. So we are left with the conclusion that the translator is a native translator. John Bois. Translating for King James: being a true copy of the only notes made by a translator of King James's Bible…. Translated and edited by Ward Allen. Nashville: Vanderbilt University Press, 1969.